When setting up a Library Plan for use as a Plan-in-Plan, you will follow the same steps creating a Library Plan. Select the default plan under Template Name and click Create Plan(s) From Template. Click on the Event tab and then click on Event Sequence. Create event icons for just the items you want to appear in this layer within your plan. On the home page, either create a new plan or Open one from the Recently Updated Plans section that you want to add this Plan-in-Plan to. 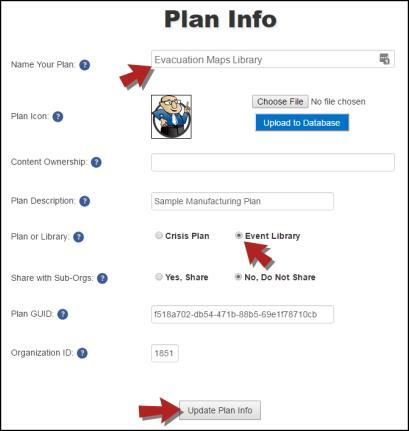 *Note: If you do not see the desired plan there, navigate to My Plans and click Edit next to the desired plan. Once the plan is open, click on the Event tab and then click on Event Sequence. Click Add Event and then click Edit on that new event. Click the Edit button on the event. 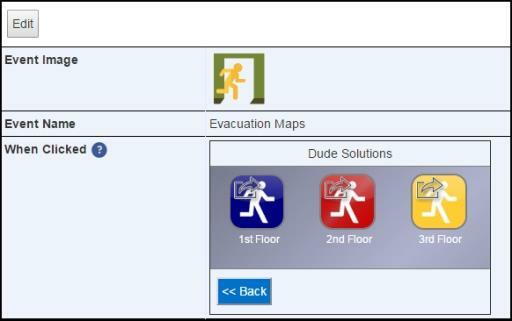 Rename the event and choose the icon to represent the Plan-in-Plan. 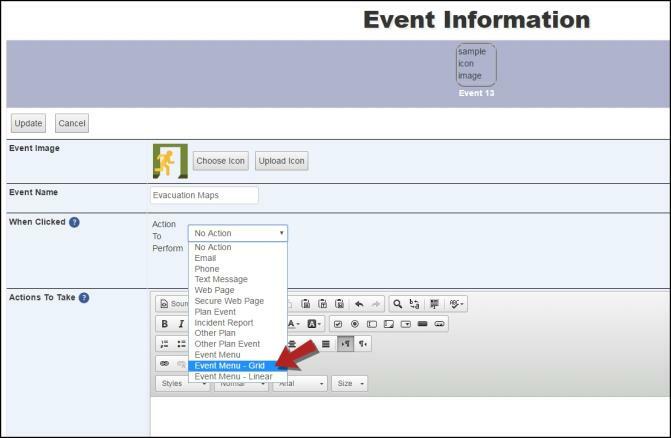 In the Action to Perform drop down, select one of the Event Menu options. 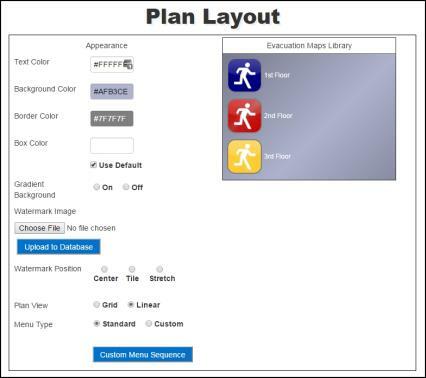 The screen will refresh to show more options where you can select custom colors for this Plan-in-Plan layer. 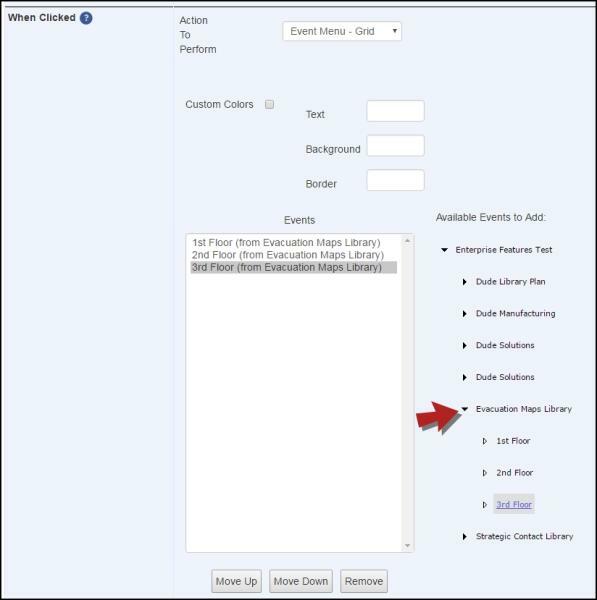 From the Available Events to Add section, open the Library Plan you want to use and select the events to appear in the Events box on the left. Click the Update button at the top of the screen. The screen will refresh to show you what the screen for this Plan-in-Plan layer will look like when you tap on the event. Continue publishing the plan as normal.